Epic film or epic fail? 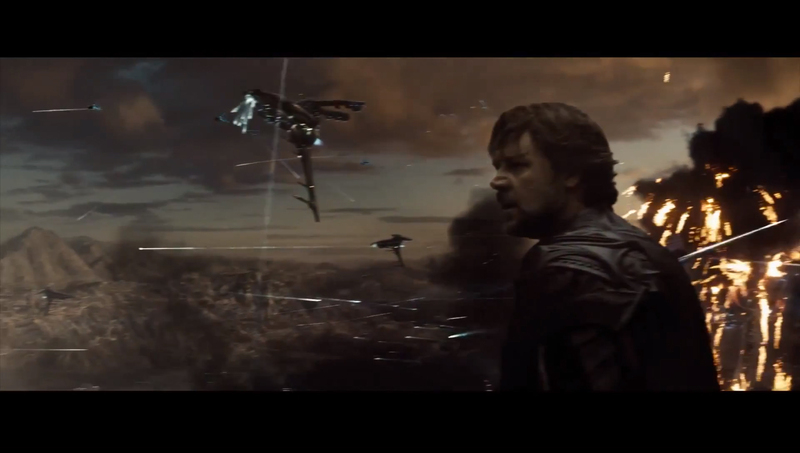 In his interview with Russell Crowe, Jimmy Fallon called Steel “…a giant film.” He’s right. The effects are phenomenal. The star power triumphant. But, the story? 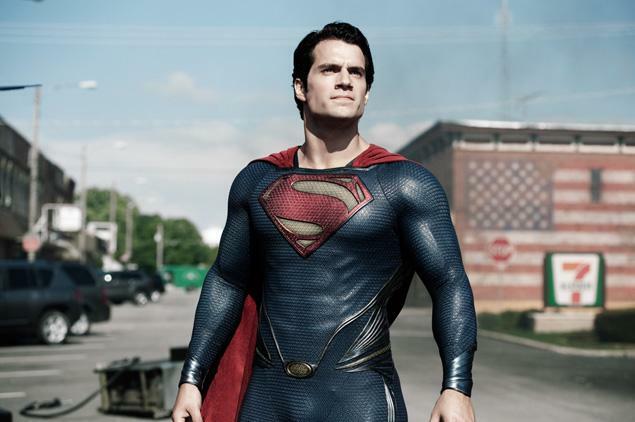 A+ – casting Henry Cavill. He’s just got beautiful…uh…acting skills. A grade – performances from Russell Crowe & Kevin Costner. F – for Originality. Plagiarism plagued the pages of this script. “…it’s a singularity. A black hole in space.” Then the tripod, planet-searing octoship heads through the explosive space anomoly. I was shocked that no one thought to eject the warp core and say, “I’m givin her all she’s got Captain.” Throwback? To Trek 2009? Someone obviously didn’t listen to JJ Abrams give his TED Talk and say something close to “If you’re gonna rip anything off, rip off the character. You don’t rip off the Shark from Jaws.” Steel stole the shark. 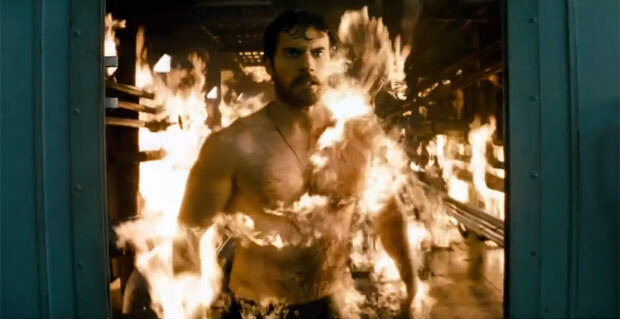 Any other stolen bits in this our pun-titled Man of Steel? How about those metallic robot tentacle arms from outer space? They are from Avengers, yes? The ship from Prometheus buried in the mountain? Amy Adams was in a first season Smallville episode. Sadly, they should have left her there. Too cruel? Too soon? I don’t know. 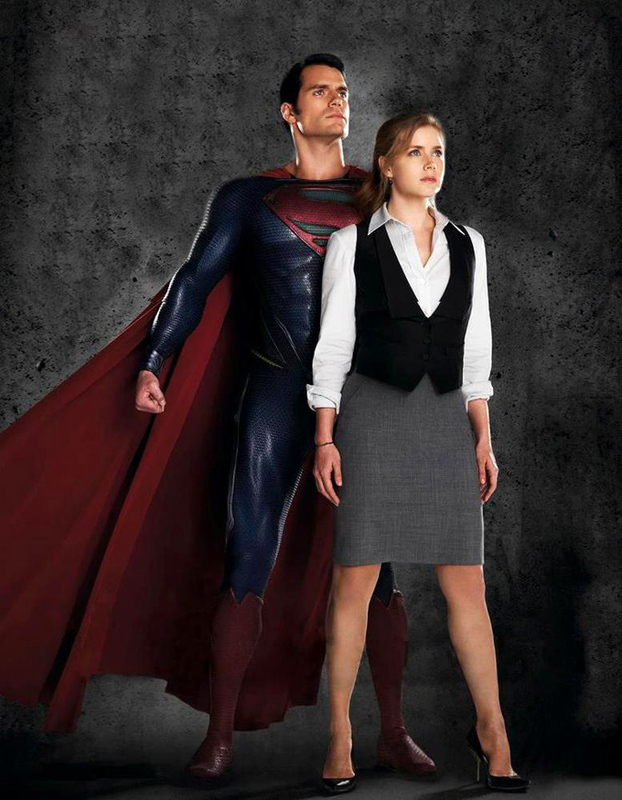 Even a vocal octave drop couldn’t turn Enchanted princess Amy Adams into the hard-hitting, danger-loving one-of-the-boys newshound Lois Lane. 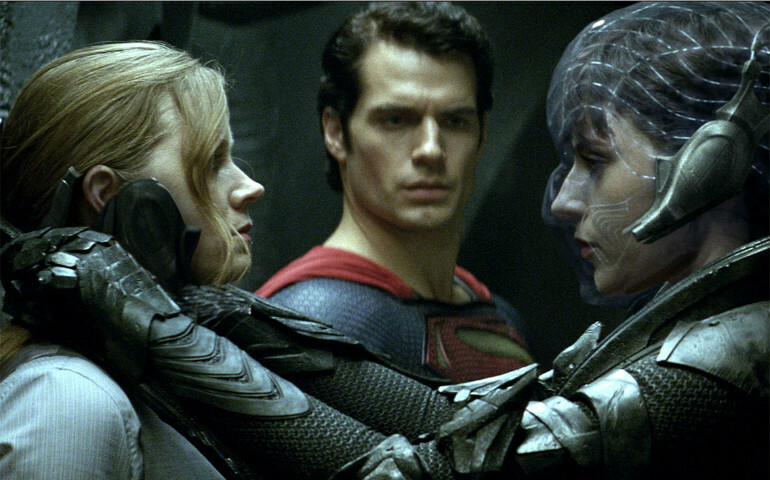 What this movie failed to steal from Supers past was some much needed Clark-Lois chemistry, purposeful action sequences, Daddy issues based on trust, Christ-figures without the pressure of perfection, and thoughtful dialogue. So many beautiful shots do not make up for the fact that Lois found out Clark’s secret identity in a day and made a quick trip to the farm to meet Martha then into space without a hitch. I know, Steve. I know.